It features a square shape. This vessel is designed to be installed as a above counter vessel. It is constructed with ceramic. This vessel comes with a enamel glaze finish in White color. It is designed for a wall mount faucet. Square above counter ceramic vessel features a sleek enamel-glazed finish. Premium white glaze for a glossy finish with a kiln dried ceramic construction. Smooth non-porous surface; prevents from discoloration and fading. Completely finished from all sides; including back. Faucet and accessories not included. Can be used with a wall mount faucet installation. 1.75-in. standard US drain opening. Recommended drain for this sink is 871211017961..
A compact, shallow and very chic wall-mounted ceramic vessel, featuring an integrated bowl with raised edges and an overflow. It also boasts double-fired, kiln dried ceramic construction. It comes predrilled to accommodate your standard, single hole faucet, and measures 17.5 in. across, 17.5 in. from back to front, and 4 in. from top to bottom. Coated in a dazzling, stain-resistant white glaze. 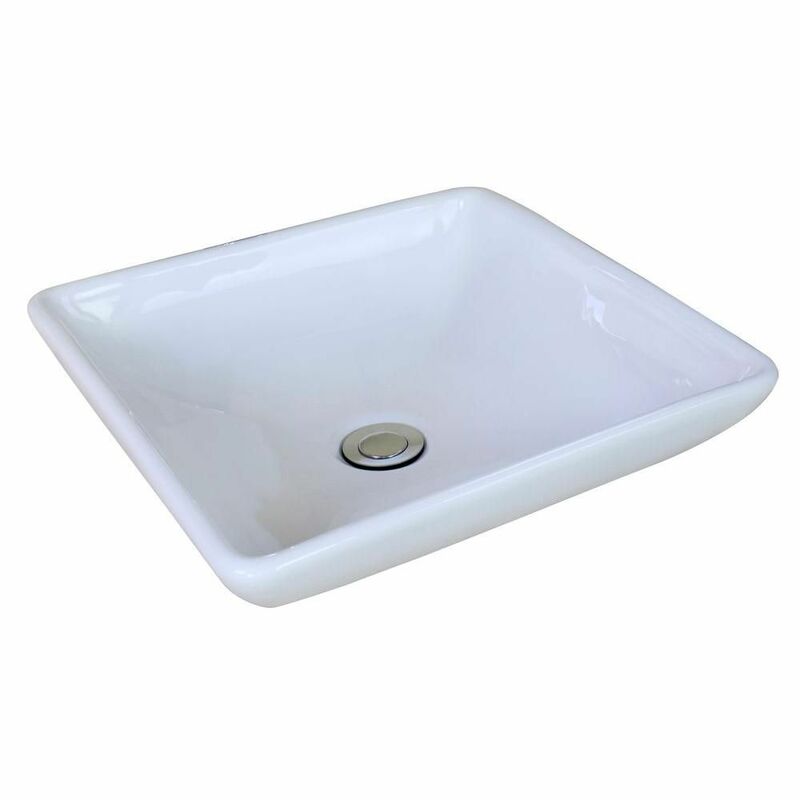 15 3/4-inch W x 15 3/4-inch D Square Vessel Sink in White It features a square shape. This vessel is designed to be installed as a above counter vessel. It is constructed with ceramic. This vessel comes with a enamel glaze finish in White color. It is designed for a wall mount faucet.